Our Carter WCD 2bbl carburetor rebuild kit is updated for use with today's common pump gasoline that contains alcohol. MADE IN THE USA. 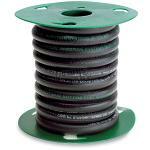 Carter WCD rebuild kit contains the following parts and gaskets. Detailed specification included Not sure which rebuild kit is correct for your carburetor? Carter carburetors are identified by a number, followed by an 'S', 'SA', 'SB', 'SC' or 'SD'. For example, the following carbs would all use the same rebuild kit and float. 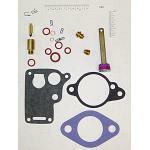 Our Carter WO 1bbl carburetor rebuild kit is updated for use with today's common pump gasoline that contains alcohol. MADE IN THE USA. 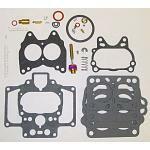 Carter WO rebuild kit contains the following parts and gaskets.